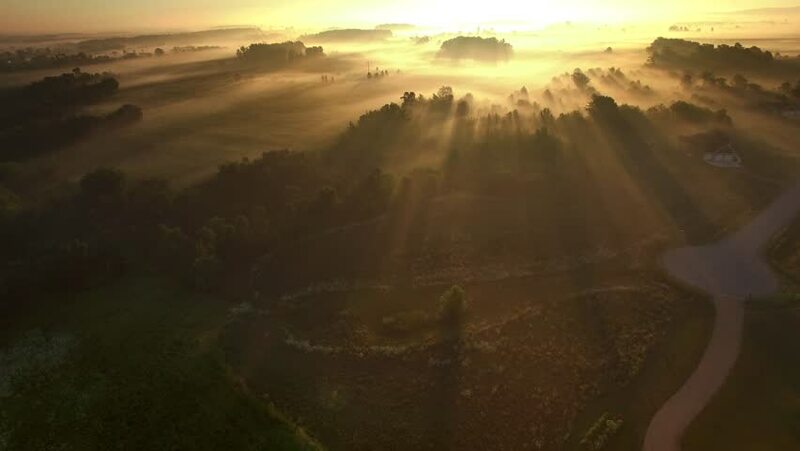 Magical sunrise over foggy rural fields and trees with rolling hills, moving aerial view. 4k00:12Aerial Sunset View Green Grass Summer Mountain. Aerial Sunset In Mountains. View of Carpathians Mountains In Sunrise. Green Mountain At Spring In Sunset.Drone Aerial View On Mountain Top.